A candlestick chart (also called Japanese candlestick chart) is a style of financial chart used to describe price movements of a security, derivative, commodities or currency. Each "candlestick" typically shows one day, thus a one-month chart may show the 20-22 trading days as 20-22 "candlesticks". In Elliott's model, market prices alternate between an impulsive, or motive phase, and a corrective phase on all time scales of trend, as the illustration shows. W.D. Gann inventions. Inventions like Gann Wheel, Square of 9 and Square of 12, price & time calculation. 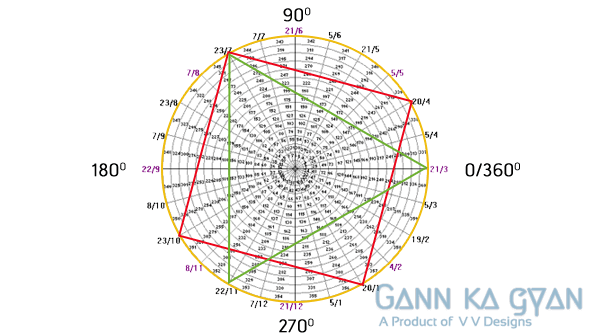 • Gann's Basic formula is the Wheel. If you get learn the wheel. You can invent new doors of trading. You need to understand perfect Trading Level + You need Target to trade and must control Greed and Fear when you do a trade. 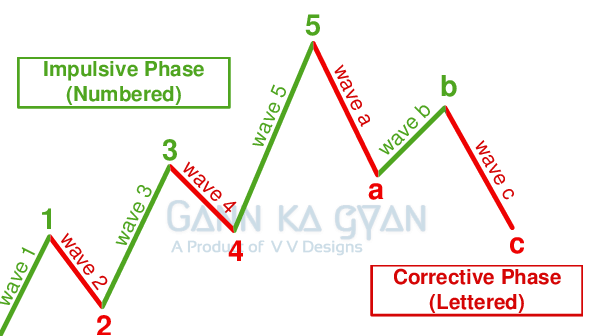 At Gann ka gyan we explore different ways of successful trading. People invest in stock and commodity market some win some lose. People lose because they trade without learning & understanding about trading. And we at Gann ka gyan teach people different ways of successful trading. Candle Stick: candle stick is another unique way by which you can do successful trading. At Gann ka gyan we have trainers for Candle Stick who are over 13 years of experience. Elliott Wave: we have trainers of over 10 years’ experience. They will teach you how Elliott Wave works. And the actual meaning on up trend and down trend. Gann ka Gyan also offers open discussion board. Please click below to discuss your questions. We teach people to understand market and it's moves. So that in any condition you will not lose. This portal is build only to teach people how they can get educated in market understandings. We are only trying to educate people about the logical hiddens of the market. “We are not selling any services and we are not giving any business guarantee also we are not authorized from any exchange” . We are only educating people on our logic's and calculations. So connect us with your complete interest and understanding. As we will not be authorized for any loss or gain of your’s. A Portal to educate people on stocks and commodities. Note: This guidance is only for education purpose. We are giving this guidance with our experience and tecniques. We are not authoriesd with any Indexes. This is only for education purpose of our Students and Followers.